Walking towards my house in the flat state of Illinois this evening, I thought I saw a mountain peaking over the trees. Struck by the beauty, I halted. I then realized it was merely a purple-grey cloud, but I remained still, gazing forward and pretending that it was a snow capped peak in Nepal stretching away, way, way into the sky. Continuing onward, I thanked God for that beautiful illusion. Every Monday for the past three weeks, it has rained…typically on me. First I had to walk to work through a flash flood. I arrived at the library soaked up to my thighs from the rain and puddles. Last week I escaped the rain in time, but this week I chose to walk umbrella-less through a sun shower. It was glorious. At least half the days this summer have been rainy. The earth and streets smell fresh, and because my work is indoors, I am mostly dry. I find joy in the after-effects, however—the dripping grass squishing between my bare toes, muddy puddles along the roadside. The downside of having so much rain and persistent puddles is that mosquitoes are finally breeding. Until last Sunday, only one insect had bitten me during the entire summer. Then I got three expansive spider bites that thankfully dried out by the time I got re-bitten yesterday on my hand and knee. I still love the puddles, though. I love rain and puddles and trees and mountains. They’re majestic, and they remind me of my old home and places I’d like to go such as the Adirondack Mountains, Kenya or Montana. For living in what I call the “flatlands,” I live in a pretty beautiful place. Flat, open land was never my ideal, but I’ve learned to find beauty in the wide fields, straight roads and of course the railroad tracks. Still, I’m blessed to live on what is probably the most shaded street in Wheaton. I’m blessed to live in a house that has trees out front and lining the side. It feels enclosed. When we lived in Connecticut, my mom always disliked Hartford Turnpike because the street was walled in by a tunnel of trees. She preferred the winding beauty of Upper State Street, with its more sunny view, the elementary school and the pond where I once caught a fish with a french fry. Dad preferred the direct route of Hartford Turnpike. My parents would race each other home, testing which road was the shortest, but it honestly depended on the traffic lights. I’d drive both roads depending on my preference that day, but I loved being surrounded by trees and rock faces on the interstate and highways in Connecticut. I haven’t seen any rock faces in Illinois yet, but today God gave me a mountain. And he took away my breath. My heart is in turmoil. 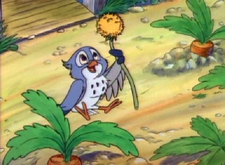 I was always the little bird Kessie from the Winnie the Pooh movie “Seasons of Giving” who grows up under Rabbit’s care before taking flight one winter. I always cried when she left, but we always knew I’d be that bird. I am caught between reveling in my independence as a young American adult and longing for my family, both immediate and extended, as someone who values family community. Part of my struggle is that I victimize myself. I can phrase things in my head to make things sound worse than they are. I imagine telling my future children that I left home when I was 17. So young!! Of course, there’s more to the story than that. My leaving for college early was actually an incredible, perfectly planned gift from God. And I haven’t gone back for several reasons, one being that I don’t have just one home anymore. To where would I return? Connecticut is my old home. It’s where my old friends are, but I don’t fit in there anymore. Last I checked, I’m the only one who went more than two or three hours away (as compared to my 15 hour drive from there to my college). Everyone else still has their families and hangs out with many of the same people from high school. They’ve grown and I’ve grown, but we’ve done so in different ways and with different people. Sometimes I envy that they are all still together, but I’m also grateful for my vibrant, trustworthy community at Wheaton. Here I have found a place of love and belonging and growth. Here I have become an adult. Though I’m only 19, Connecticut has already become my childhood memory home. Charlotte is my parents’ home. They’ve been thriving there for one and a half years, and their church is wonderful, but I personally have no friends there. I miss my family all the time, and I only get to see them for one day on Thanksgiving and then over Christmas break—anything else is a bonus. But I’d rather not live there and be lonely, not knowing anyone but them. They don’t have space in their rental house for me anyway. This is just how life is now. I don’t belong in Charlotte. I will always belong to my family; my mom trained me to remember that I am a Christian and that I am a Bennett! But I am an American, and I am a bit of a free spirit, and I do not belong with them anymore. So what place is left? Wheaton is. Wheaton is my current home. Here I have journalism connections, a steady job, a home church, a family from whom I rent and who is fast becoming dear to me, and college friends who live here with family or are also staying for the summer. This is home now. This is my current independence. But being independent isn’t the end goal of my life. (Following the Lord Jesus is.) While I enjoy living “on my own,” I also value family. I value community. Right now I have to participate in a larger family, God’s family, and rely on a network of friends and fellow Christians rather than my kin for everyday-life support. (I still keep communicate with my immediate family often and rely on them for other things.) But as a loyal and emotional person, I deeply miss my mom, dad, and sister as well as my brother who lives even further from them. Sometimes I pity myself. Today is one of the days where I’m having to battle that. Because many of my friends are third culture kids and may only see their families every two years, I know I shouldn’t complain. I get to see my family at least once a year, maybe even every seven months. That amount of time will only increase as I prepare to be a missionary, and I need to face the reality that I have left my family. I’m getting better about doing that, but it’s worse when holidays come, and I start getting especially homesick around the six month mark. The value of family community wars in my heart with my independence. I’m happy in Wheaton this summer, and I’m having a blast with my new friends here, but I’m still grappling with living as a young independent far from all my relatives. Perception is a funny thing. We all have perceptions of people and things, but our perceptions can be slanted or incomplete based on our contexts and how well we know a person. What?! Anyone who knows me well will know I hate war and am not athletic. As a creative person who has never fit in with any one group, I also prefer to work outside the established boundaries, unlike the strict and formal military culture where, to my knowledge, orders are always followed as given. I expressed why I would not work in the military, and Hannah admitted that she probably thought that because of my hair. (Half of it is shaved.) Because we’re still getting to know each other, Hannah supposed that out of my limited occupation options, I’d choose the military. She perceived this based this on my appearance. It’s understandable but also inaccurate. I think it’s safe to say that we should hold off making judgments based on our initial perceptions of people! Let’s explore this a bit more now—let’s look into contexts. After we had satisfied our slap-happiness with online quizzes, I went on Facebook to show Hannah a picture, and as I scrolled to find it, she saw a picture of me from the Office of Multicultural Development’s spring banquet. I was wearing a pale rose colored dress and playing an inflatable guitar next to one of my best friends in his snazzy suit and shades. Hannah was surprised to see me in a pink dress and said she couldn’t picture it. “What do you picture me wearing?” I queried. I love dresses! The picture seemed natural to me. “Sweats. Jeans maybe,” she replied. I realized that whenever I see Hannah, I’m at home, and when I’m at home, I crash and am comfortable bumming out. I don’t have to perform like I do at my internship; at home I can wear my ugly sweater, and nobody will care. While I enjoy dressing up, I also enjoy dressing down afterwards, and since Hannah and I only interact in the latter context, her perception of me was slanted. Let me be clear: Hannah’s a dear. She’s amazing, funny and smart. Together we laughed till she cried. We “died” by laughter at least five times in the space of a few hours. But as I reflected on the night, I realized her perceptions about me were incomplete and rather one-sided—through no fault of her own but because we’re still new friends and only operate in the context of her house after I’m off work. Perceptions can be slanted based on our context and based on appearances. People may perceive someone with arched eyebrows as judgmental. In reality, the woman may simply not be aware of the attitude her plucking job conveys. Hair color, attire, makeup, and an assortment of other physical characteristics cause us to perceive people in certain ways, some positive and others negative. I won’t break them down here, but I will add that our most obvious perceptions or judgments may be based on skin color, since that’s probably the first attribute we notice about a person, whether we can verbalize that or not. To see is to perceive something with our eyes. Judgments follow soon thereafter. We would be wise to hold off these judgments until we know people better since first and even second impressions are never complete. What do you see when you look at a person? But what is this language and how did I come to know it? Almost exactly a year ago, I began an internship in Denver, where I worked as an intern for the health coordinator in the refugee and asylee department. I also befriended several case managers, one of whom was from Burundi and had long been a refugee in Rwanda before coming to the States and becoming a citizen. This particular case manager friend, Zacharie, speaks six languages including English, Kirundi and Kinyarwanda, and last July he began to teach me Kinyarwanda, the language of Rwanda. Although I can read some Kinyarwanda at a painstakingly slow pace, I still know minimal vocab and certainly do not yet know the words nuances since I only had a teacher during summer 2014. Yesterday I tried to make some headway in my vocab, however. I learned that buhoraho means eternal (see John 3:16) and iteka means forever (John 3:18). I had thought they meant the same thing, but Zach informed me that the former is an adjective (ubugingo buhoraho–eternal life) and the latter is an adverb (nzagukunda iteka–I will love you forever). Uwiteka is a name meaning Lord or Eternal One. (Eternal One– isn’t that beautiful?!) Simply put, according to Zach it means God. Mwami is a name for Jesus meaning King or Eternal. Jesus is Yesu. Don’t zone out of this language lesson yet–I’m just getting to the point, the Gospel as read in John 3:16. The word that stands out to me the most in this passage presented below is cyane, an adjective meaning “a lot” or “immensely.” The letter C in Kinyarwanda sounds like a ch in English. Try saying the word cyane aloud now. Got it? Okay, I think we’re good with words for now, so let’s dig into the Scripture itself. In my simplistic understanding of the language, I can read John 3:16 in Kinyarwanda and receive it as a beautiful, deep truth. I’ll show you the various translations below: First ESV, then Kinyarwanda, and my understanding of each. John 3:16 and 17: For God so loved the world, that he gave his only Son, that whoever believes in him should not perish but have eternal life. For God did not send his Son into the world to condemn the world, but in order that the world might be saved through him. To someone who has never heard the Gospel like this before, those verses are powerful. But after you have been in church for your entire life and can say this passage while spying nocturnal sheep, it begins to lose its meaning. Personally, I gloss over it because I think I already know what it says. Kinyarwanda is still fresh and thrilling to me, however. Johana 3:16 and 17: Kuko Imana yakunze abari mu isi cyane, byatumye itanga Umwana wayo w’ikinege kugira ngo umwizera wese atarimbuka, ahubwo ahabwe ubugingo buhoro. Kuko Imana itatumye Umwana wayo mu isi gucira abari mu isi ho iteka, ahubwo yabikoreye kugira ngo abari mu isi bakizwe na we. I can compare the translations phrase by phrase, clause by clause, and pick out which word means what based off the few I know already. My dictionary is always handy, of course. Kuko means because, Imana is God, yakunze is the third person singular and the distant past of the verb for love (gukunda), mu is a preposition translated in or into, isi means world, and cyane means a LOT: For God loved in the world a LOT, the passage begins. God loved the world a LOT, immensely. While I want to learn more Kinyarwanda with the goal of communicating well in the language, I am glad that my simplistic understanding allows me to see the Bible in a new light, as if starting over again. Newness is, after all, what Yesu is talking about in the passage above.